If you want to get One Grip Higher today brand your self better! Every Friday morning I wake up an hour early and meet up with my buddy Luke Thomas (you need to check out his blog… cool stuff) at Starbucks where we drink delicious, but ridiculously overpriced coffee! 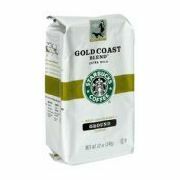 The coffee at Starbucks by the way, costs $32 per gallon. That’s over 7 times the cost of gas! That is stupid! But I do it every week! Why? Here are at least 3 reasons why Luke and I buy overpriced coffee week after week. 3. We are buying the consistency not the coffee: They get it right everytime! If they don’t, they throw the drink out and get it right. They are reliable! We never waste a hangout frustrated with the quality of the coffee. Action Step for Today: Take out a pen and answer these three questions! Are you a brand people get excited about? Are you an environment people want to be around? Are you consistent? Do you ge it right every time? If you can say yes to those three questions, people will buy what you sell. They will listen to what you say. They will trust who you are! People are committed to brands that are consistent and reliable. The most effective people give serious consideration to how they brand themselves. What is your brand? Figure that out and you will be One Grip Higher! P.S. Stay tuned to the next post… Which Kind of Coffee Are You?